During my brief three and a half years in Tucson, this quirky little town has grown very special to me, and I have become quite fond of the desert, the University of Arizona, and the kindness of the people here. 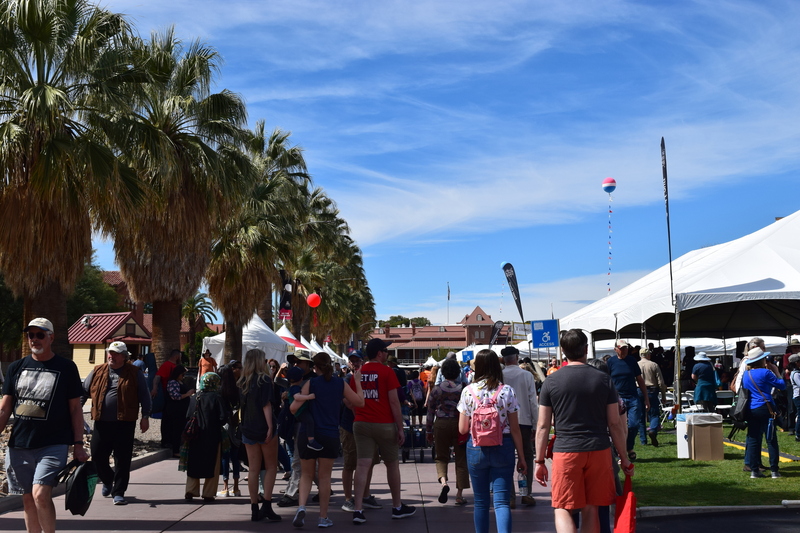 As an avid reader, I had visited the Tucson Festival of Books before, but I had only wandered around the University of Arizona’s Mall aimlessly, with no plan, nor had I looked at any of the events or visiting authors. So with a large camera and University of Arizona Press badge in tow, I set off to truly experience the Tucson Festival of Books. It was hot, and crowded, and I got sunburned the first day (My native Pennsylvanian skin is still adjusting to the desert sun). I went to writing workshops and panels, did mini-science experiments, ate bugs, and submerged myself into the literary world. The funny thing was that Tucson, and more expansively, the American Southwest, was special to many of the authors, too. Scott Whiteford, editor of Shadow of the Wall: Violence and Migration on the U.S.-Mexico Border (UAP, 2018), told me how Tucson, specifically the University of Arizona, was an interesting place to live in relation to his area of study, as the research for his book was all student-driven. The desert, both Tucson’s Sonora Desert and neighboring Mojave Desert, are special to Lawrence Walker, Rebecca Robinson, and Stephen Strom, all published authors by the University of Arizona Press. They all shared their touching personal stories and love for the deserts in their “Stories from Special Places” panel, discussing encounters with wildlife and natives, which I was lucky enough to be able to attend. Not only did the Tucson Festival of Books give me the opportunity to speak with scholars and authors, it also allowed me to put faces to the names of authors that I worked with as an intern this year. Being able to speak to these scholars and hear them explain what inspired and motivated their projects, and seeing the excitement in their eyes when they spoke about their work was undoubtedly my favorite part of the Festival. This phenomenon was not uncommon during the weekend, as I observed many with this same expression as they found a particular book, learned something new, participated in an experiment, saw a performance, or found their favorite snack. 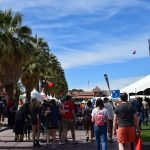 The Tucson Festival of Books allows us to explore our interests as well as ourselves in a place truly loved by its inhabitants. Victoria Wacik is an intern in our acquiring department. 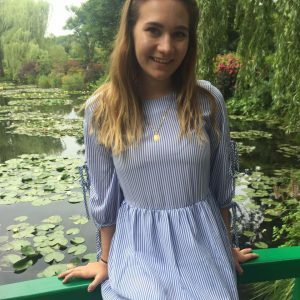 A senior at the University of Arizona, she is majoring in English with minors in Classics and French. She enjoys embroidery, hiking, and reading. Her poetry will be published in the Punk Lit Press, forthcoming April 2019.